A bidirectional language is one that can write either right to left or left to right based on context. Bidirectional text is supported throughout the platform. Eclipse will recognize Hebrew, Arabic, Farsi and Urdu as bidirectional by default. -dir command line parameter. If the -dir command line option is used this will be the default orientation. Valid values are -dir rtl or -dir ltr. system properties. If the system property eclipse.orientation is set this will be used. The recognized values of this property are the same as the -dir command line argument. Presence of installed NLS packs for Hebrew, Arabic, Farsi or Urdu. -nl command line parameter. If the -nl option is used and the language is Hebrew, Arabic, Farsi or Urdu the orientation will be right to left. Failing all of the above, the platform defaults to a left to right orientation. In JFace, the orientation can be determined by calling org.eclipse.jface.Window#getDefaultOrientation(). Standalone JFace applications must set the default orientation by calling org.eclipse.jface.Window#setDefaultOrientation(), otherwise it will assume a default value of SWT.NONE. The default orientation is set automatically when running the Workbench. All subclasses of org.eclipse.jface.Window inherit this default orientation. Views and editors inherit the window orientation from their parent. Dialogs should inherit orientation by using the shell style of their superclass by calling super.getShellStyle() when creating or configuring their shell. Base direction of text (a.k.a. "paragraph direction", "reading order") refers to the overall progression of text in display and it should be controlled independently of the workbench orientation. In the context of non-bidi scripts the preferred BTD is LTR. In the context of bidi scripts the preferred BTD is RTL. And in case of mixed text content the preferred BTD is auto (a.k.a. "contextual"). When this type of BTD is effective, the BTD is derived from the directionality of the first strong bidi character. An appropriate base text direction is essential for text readability. -bidi "on=y;textDir=ltr sets the default BTD to left-to-right. -bidi "on=y;textDir=rtl sets the default BTD to right-to-left. -bidi "on=y;textDir=auto sets the default BTD to auto (contextual). If not specified on the command line, the default text direction is inherited from the workbench orientation. In JFace, the default BTD can be retrieved by calling org.eclipse.jface.util.BidiUtils#getTextDirection(). Standalone JFace applications can set the default text direction by calling org.eclipse.jface.util.BidiUtils#setTextDirection(). Then, to apply the default text direction, an application can call org.eclipse.jface.util.BidiUtils#applyBidiProcessing(). upon control creation, by applying org.eclipse.swt.SWT.FLIP_TEXT_DIRECTION style, which indicates that the base text direction should be opposite to the control orientation. on an existing control, by calling org.eclipse.swt.widgets.Control#setTextDirection(). The valid argument values are org.eclipse.swt.SWT.LEFT_TO_RIGHT and org.eclipse.swt.SWT.RIGHT_TO_LEFT. Note that at present this is implemented on the win32 platform only. JFace applications can set the base text direction on an SWT control by calling org.eclipse.jface.util.BidiUtils#applyTextDirection(), which for org.eclipse.swt.widgets.Text and org.eclipse.swt.custom.StyledText takes effect on win32 and gtk platforms through invocation of the org.eclipse.swt.events.SegmentListener or org.eclipse.swt.custom.BidiSegmentListener mechanism, and for other controls it works on win32 platform, calling org.eclipse.swt.widgets.Control#setTextDirection() API. The orientation of the workbench is also independent of the special case processing for bidirectional languages. If the language of the current Locale is Hebrew, Arabic, Farsi or Urdu text processing will be enabled. Text processing is used to handle special case characters that should not be processed as bidirectional text such as path separators. 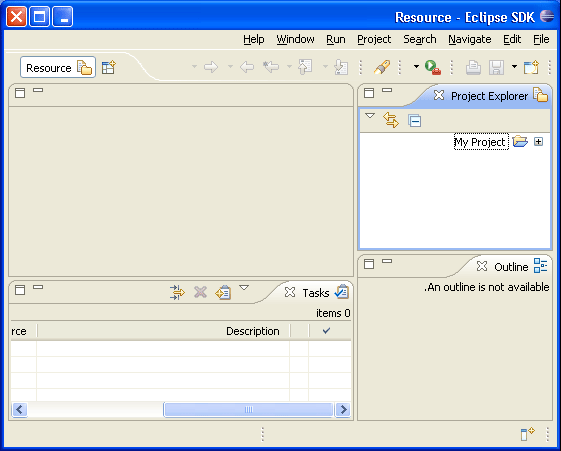 See org.eclipse.osgi.util.TextProcessor for more details. In many cases your icons will not make any sense in right to left mode. In particular any icon to do with editing will have this issue.To enable lookup of images in a fragment, use $nl$ in your icon path and use the org.eclipse.core.runtime.FileLocator class to find icons at runtime. If the icon reference is in your plugin.xml file, make sure you have the $nl$ prefix on your path and the lookup will be handled for you. If you define your own extension points that involve icons, be sure to load images in the same way. There are no hard and fast rules for determining what icons need to be overridden in a right to left language. In general, focus on icons that imply a textual direction with a horizontal arrow.